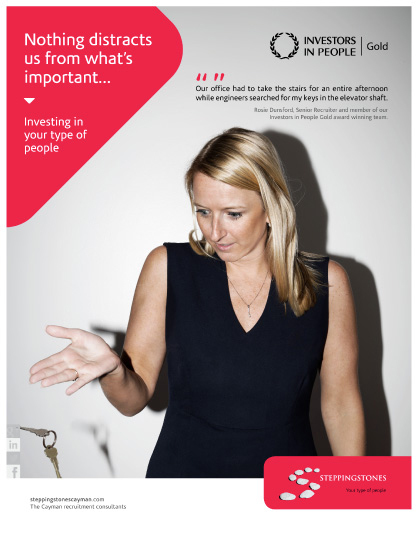 Our client was awarded an outstanding international accreditation – the Investors In People Gold Award. The company was assessed on an exhaustive list of criteria that sets the standard for better people management. Over 15,000 organisations in 75 countries have been measured with only 10% taking gold. SteppingStones have a distinct honour of receiving gold on their first try (very rare) and receiving 100% on their first assessment (possibly a world first, but being checked!). This award gave an excellent opportunity to develop the SS brand, replacing the 10 year anniversary campaign of 2015. 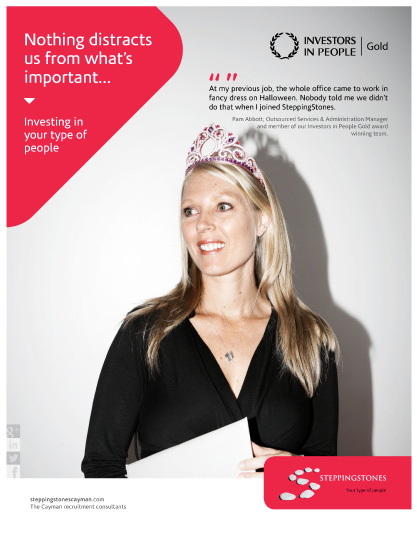 We took the existing brand message ‘Nothing distracts us from what’s important’ and applied it to the leaders within their organisation. The campaign takes these key staff and highlights an embarrassing mistake they’ve made in their past with the company. 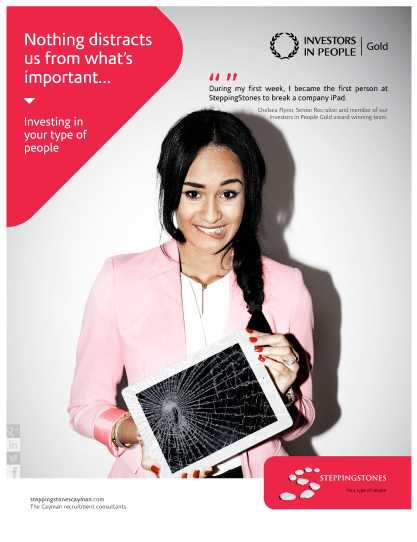 As with the physical flaws of candidates in the last campaign, these mistakes did not distract SteppingStones ‘Investing in your kind of people’ (evolving the secondary massage ‘your kind of people’) and supporting their staff to become the key individuals they are today. 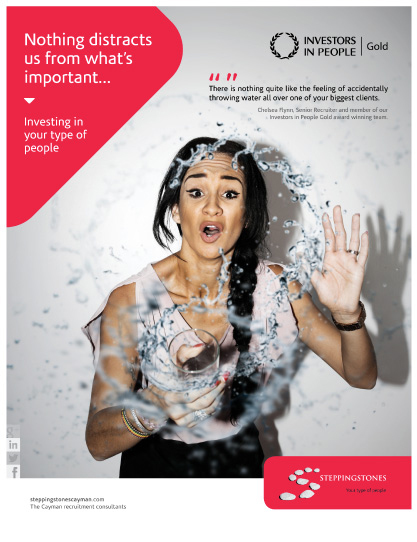 The new campaign once again collaborated with P Creative photography, and the assets are used in a wide variety of print and digital channels. The SS logo presentation was updated to include the IIP Gold stamp.